Jersey City, NJ – The Filipino Immigrants and Workers Organizing Project (FIWOP) commends the recent executive order by the Jersey City mayor, Steven Fulop, raising the minimum wage of all employees of the city government to $15 per hour. In a press release, Fulop said, “not only is this the right thing for Jersey City, but it’s my hope that our actions today will help move Trenton towards providing all New Jerseyans a living wage.” FIWOP shares the vision of ensuring working families are able to earn a living wage in order to stay in Jersey City. With much of Fulop’s term focusing steadily on ushering newcomers to “revitalize” Jersey City, the rapid gentrification of various neighborhoods has priced out a number of long-time residents. Raising the minimum wage immediately is long overdue for the majority of Jersey City’s working class communities. 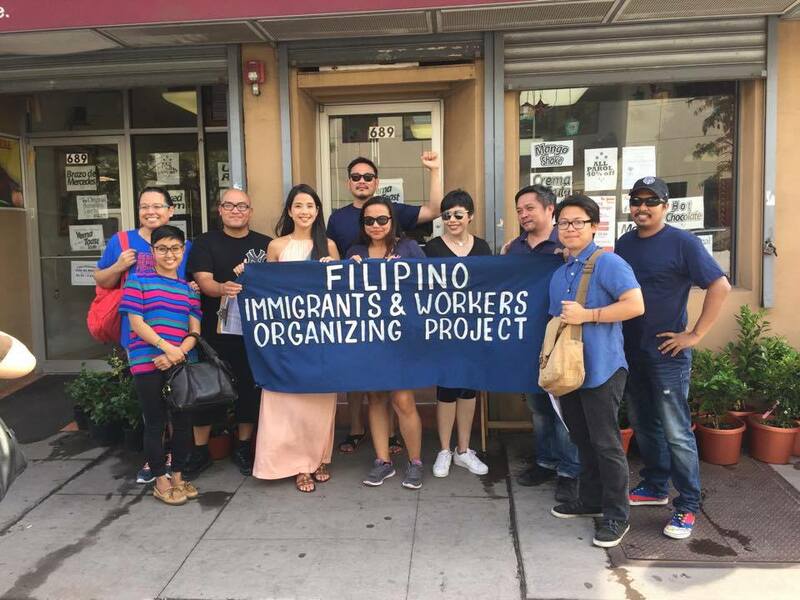 The Filipino Immigrants and Workers Organizing Project (FIWOP) seeks to educate, organize and mobilize the low-income and working-class Filipino families in Northeast New Jersey. FIWOP works in partnership with a number of organizations and local agencies to address the urgent issues faced by the Filipino community. We build our members’ capacity through education, research, advocacy, campaigning, networking, and community organizing.